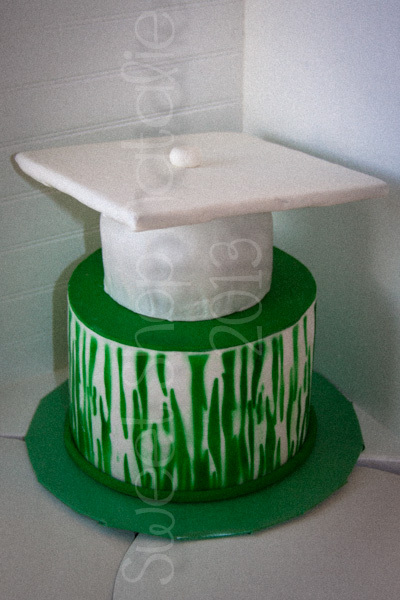 My friend Tuija asked me to make a cake and cookies for her daughters graduation party. 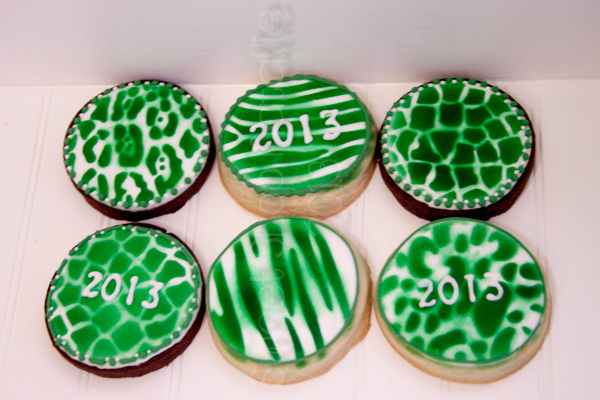 Here are the cookies I did, much less stress here except for the airbrushing... I so need to work on my skills with that. But I've got plenty of time to do that. Amanda is way prettier than these cookies, she is such a beautiful young woman. 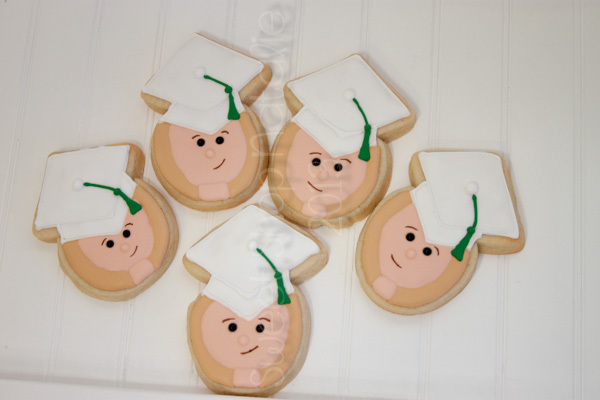 But this cookie version is cute too. 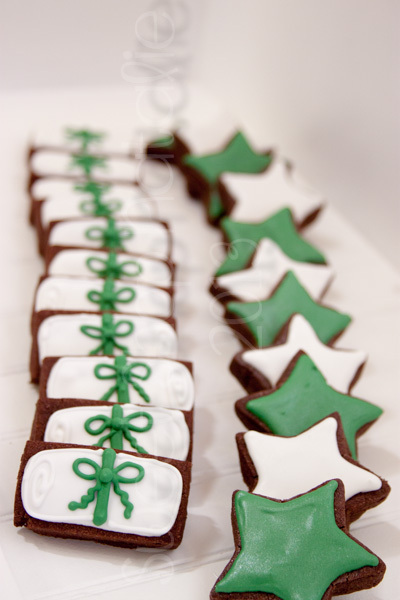 Oh and this cookie version is copied from one of Sugarbelles creations. Her mom told me that she likes Africa and I had these stencils with all these animal prints so I thought I would try them out. I figured out a better way to use them after I was done so hopefully next time they will be more sharp. Some diplomas and stars for such a super grad!! 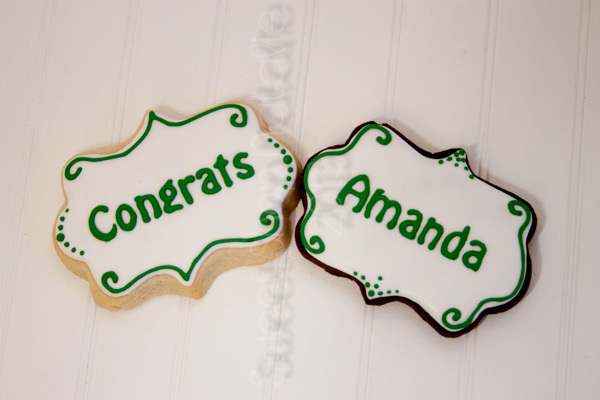 Congrats Amanda and thanks Tuija! Your lettering is PERFECT. Do you use a stencil? The cookies look great. I do both cakes and cookies. And when I'm having a cake moment, I wish all I did was cookies!